These parents have put so much time and effort into training their Olympian children, can’t we give them a bit of a break when they get emotional? If they sat there stone-faced, then they would be accused of being uncaring. I come from a long and proud tradition of “parent heckling” during sporting events. My sister played basketball, and my dad was fond of screeching her name and clapping as she was preparing for a freethrow. With me, it was right as I was about to serve the ball during a volleyball match, which is a point in the game which requires quite a bit of concentration. Huh, maybe that’s why I never made it to the Olympics. Yep, it had nothing to do with the fact that I was much too short and much too slow. Nope, I’m gonna blame it on my Dad. That’s what parents are for. 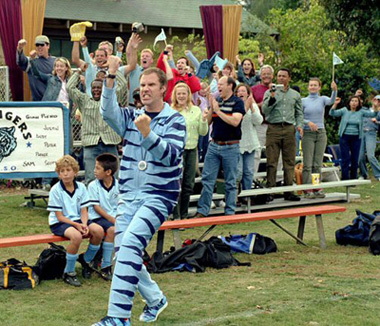 I have to start out by saying we are all about team sports here at Casa Glinda. 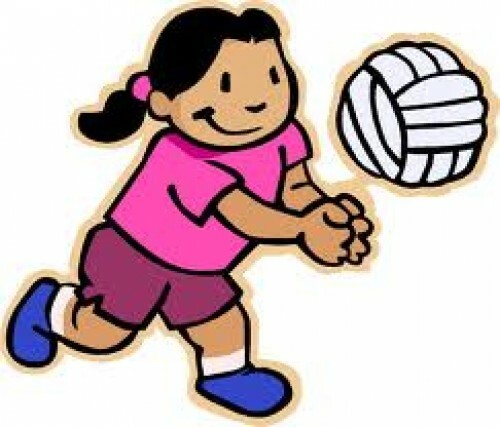 I played team sports for many, many years including softball, basketball and volleyball. Later in my career I focused on volleyball, and loved it so much I wound up eventually coaching at the college level. My husband also participated in multiple team sports, including football and wrestling. 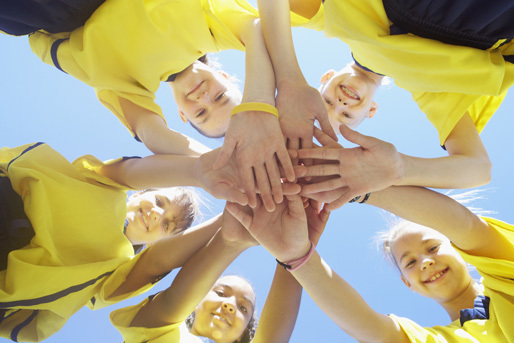 We practically lived and breathed tenets such as “a team is only as good as its weakest player” and “it’s all about teamwork.” We go around the house high-fiving each other every time one of us makes an impressive display of parenting skills. OK, I’m joking on that one. Sort of. Which is why I don’t understand why the “go team” DNA apparently did not get passed down to the Munchkin. Like the good suburban parents we are, we enrolled him in team sports from the time he was in preschool. Bitty soccer. Tee ball. Basketball. He hated them all, especially practices. It’s not due to a lack of coordination or ability, he just didn’t understand what the big deal was. He did not see the point at all in running laps. Why did he have to run in some arbitrary circle just because someone told him to? Why should he have to sit in the outfield when someone else got to have all the fun at first base? This is the same child who screeched at his fellow soccer teammate that he had “messed up”and allowed the other team to score and brought the boy to tears. I’m still apologizing for that one. Fitting the definition of insanity, I kept trying to push him into team sports, thinking it would be good for him. One has to learn how to be a team player eventually, right? Right? Hmmm, I’m wondering if Bill Gates or Steve Jobs ever played team sports. What it boiled down to was that he was not happy and thus we were not happy since badgering my child to attend practice over his vocal protests is not the manner in which I wish to spend my afternoons. But I do think that exposure to sports is important, if just from an exercise and discipline point of view. 2. Your child’s interest in the sport will be inversely proportional to that of the coach’s skill level, i.e. your semi-pro Little Leaguer is stuck with a coach that barely knows the names of all the positions, and your lackadaisical basketball player will be hounded by the coach whose last team won the state championship. 3. Someone will always be unwilling to get to know the rest of the parents on the team. 4. One contingent of moms on the team will push for “healthy snacks” because they don’t want their kids “eating that crap” and the other contingent thinks the healthy snacks moms need to lighten up a bit. Semi-veiled insults from both sides may or may not ensue. 5. There will always be one mom who takes the after-game-snack to an entirely different level, including, but not limited to: personalized team logo M&M’s, custom snack bags with names done in calligraphy, full sized Gatorade bottles, and a veritable supermarket aisle’s worth of snacks in the bag. 6. Her polar opposite will also make an appearance, bringing only lukewarm water bottles and a single granola bar. 7. There will be at least one kid whose parents never stay for the games or practices . 8. Never sleep with your child’s coach when you’re married to someone else. It makes those pancake breakfasts so very awkward. 9. 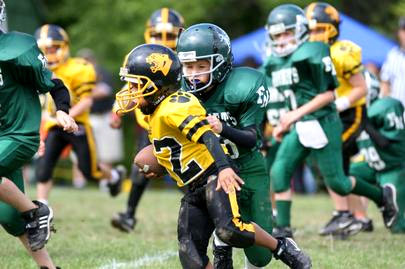 Your child will be on the team with the worst color uniforms. 10. You will tell yourself that your child’s performance on the field/court doesn’t matter to you. But it does. 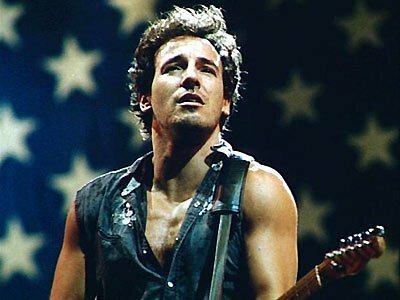 As we wind our way out of the 80’s, it seems that Bruce Springsteen is a suprisingly strong CDF contestant. Not only did he win against Bruce Willis, he triumphed against Jon Bon Jovi, he of the large 80’s hair and (IMHO) bad songs. Yeah, yeah, I know they were popular and sold a lot of records, but so have Alvin and the Chipmunks. 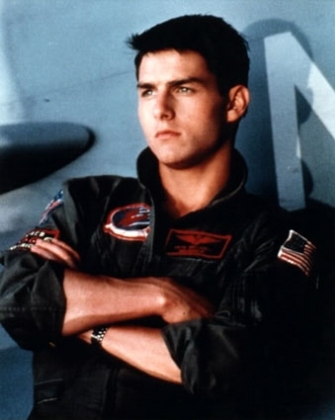 Even though public opinon on him is currently divided, there was no question that this next contender practically ruled the 80’s movie screen. Let’s not think of him as the “couch-jumper” but rather the dashing pilot with the cool motorcycle. Oh, and the volleyball scene couldn’t hurt, either. Speaking as a former volleyball player and collegiate-level assistant coach, I can tell you that as much as I love Goose, it is obvious he cannot play volleyball to save his life. Although my home and native land is also the birthplace of basketball, it must be said that the sport has not really taken off in the True North perhaps because, however Strong and Free it may be, it’s also on average 2 inches shorter than its neighbors to the South. While such an abundance of shortness poses no barrier to the Filipinos, who surely boast the highest number of basketball hoops per capita in the world, it must be said that they are rather farther away from the towering giants who dwell below the 49th parallel and, thus, less likely to be challenged to pickup games. But we at TeenyManolo have found one town in the sub-Arctic lands which is positively consumed with basketball fever, and that town is Bathurst, New Brunswick. And why? Given the history, they have every reason to loathe the sport. Eight teenage boys from Bathurst, N.B., will show the country what courage and perseverance look like when they walk onto the basketball court, ringed by cheering crowds, in Fredericton on Saturday. 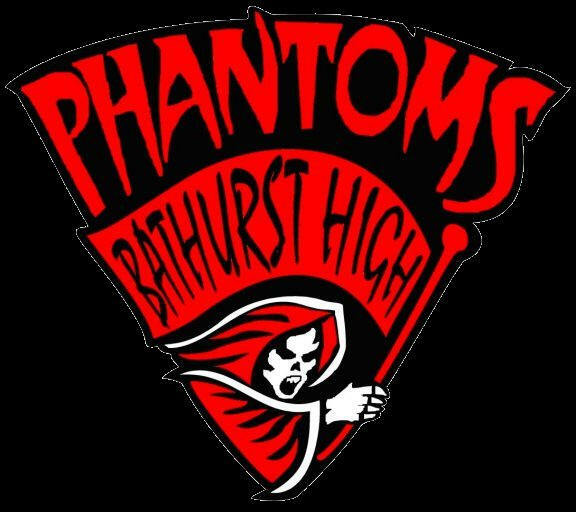 A year ago, their high school and their small city were turned upside down when seven members of the Bathurst High Phantoms boys basketball squad were killed in a highway traffic accident. The wife of their coach, Wayne Lord, also died when the team van collided with an oncoming truck on an icy road, as Lord was driving the players home from an evening game in January. Bathurst High disbanded its boys basketball program, and Lord quit coaching, as he and the community coped with the tragedy. In the fullness of time, the school hired a new coach and formed a new basketball team for the new school year, and resigned itself to competing in a lower league than the experienced team of past years. And won the Provincial Championship just yesterday, in fact. …they surprised everyone, working their way into the Tier-2 provincial finals, and — despite the recent hospitalization of their new coach — to a resounding 82-50 win on Saturday over a brave group of boys from Campobello Island High, who faced the daunting task of playing a team almost willed toward victory by those who knew their tragic history. “We did the impossible pretty much,” said 10th-Grade guard Alex Robichaud, who stood on the court after the game, marvelling at the lights of the TV cameras and the excited fans that circled around him on the court.